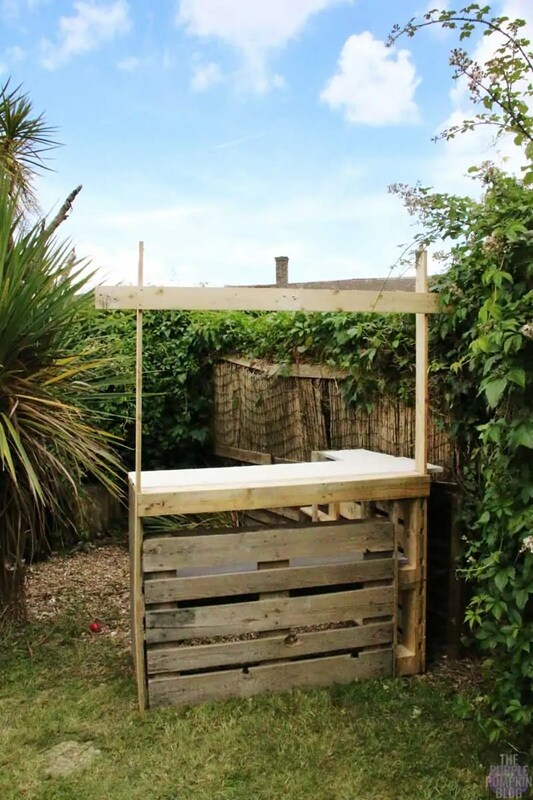 How To Build A Tiki Bar Using Old Pallets - Part 2! 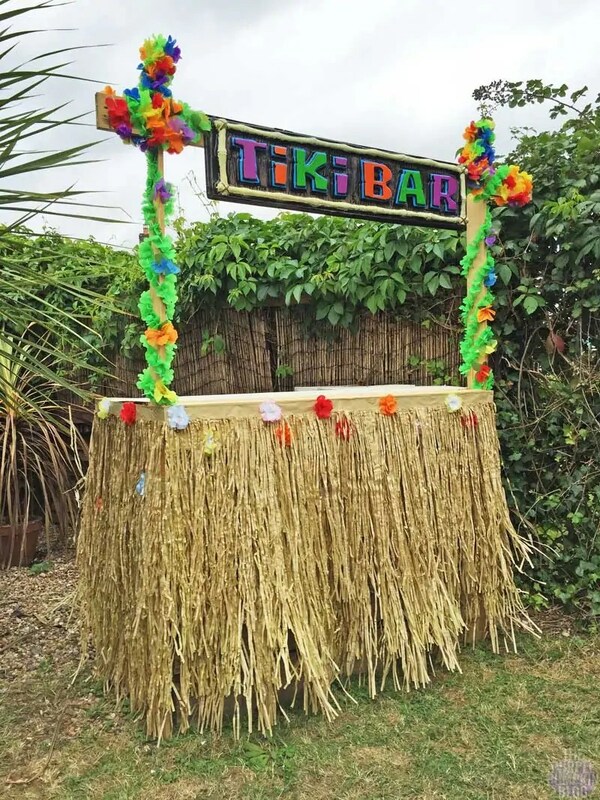 Last week I shared the construction of the tiki bar my husband and dad built for my [early] 40th birthday party – today I can finally share how I decorated it! I loved how it turned out, and everyone who came to my parties over the weekend (because I had two, not one!) complimented the tiki bar and said how awesome it look. With the sunshine, [nearly] blue skies, and the palm tree in the background, you could almost have been somewhere tropical! 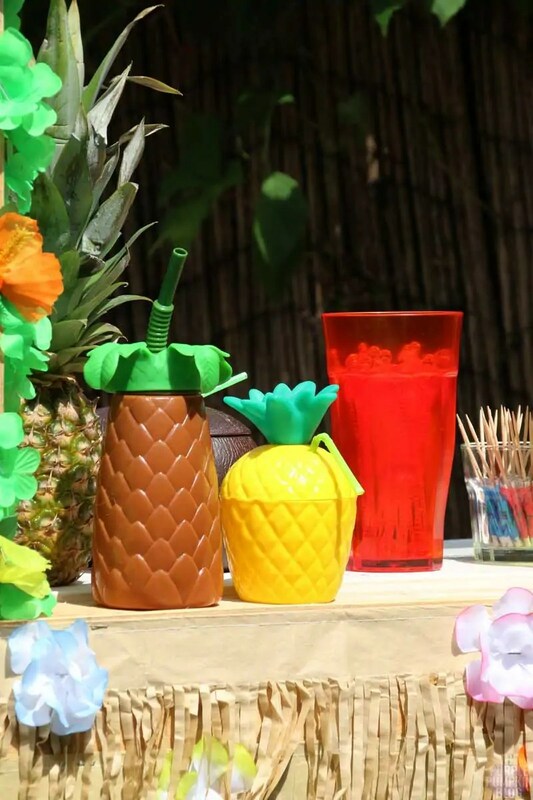 Once you have the right sorts of decorations, it is really easy to bring the tiki bar to life. 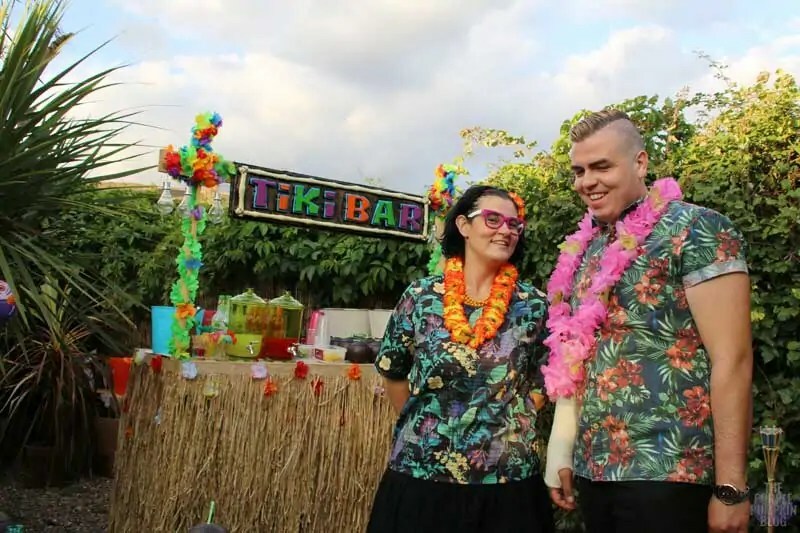 I was provided with lots of Hawaiian, and tropical themed party decorations and partyware for my party by WF Denny, and by Amscan available in Party Delights. I also bought some of my own items too. I layered four pieces of luau fringe around the the base of the bar, to hide the pallets. I think I could have done with another layer or two, but I ran out! A staple gun was my saviour in the tiki bar decorating project. 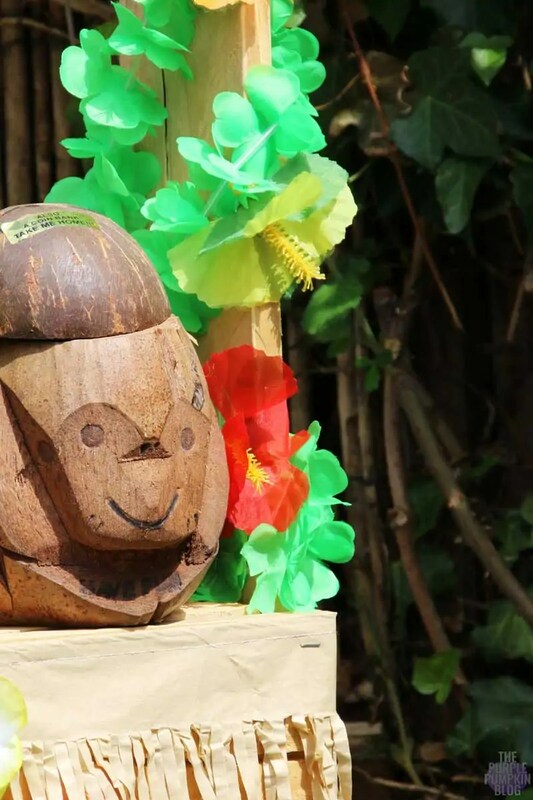 The fringe is made from paper, so it can’t be left on all year round due to the weather, so we’ll be removing the fringe, as I want to be able to use it again. 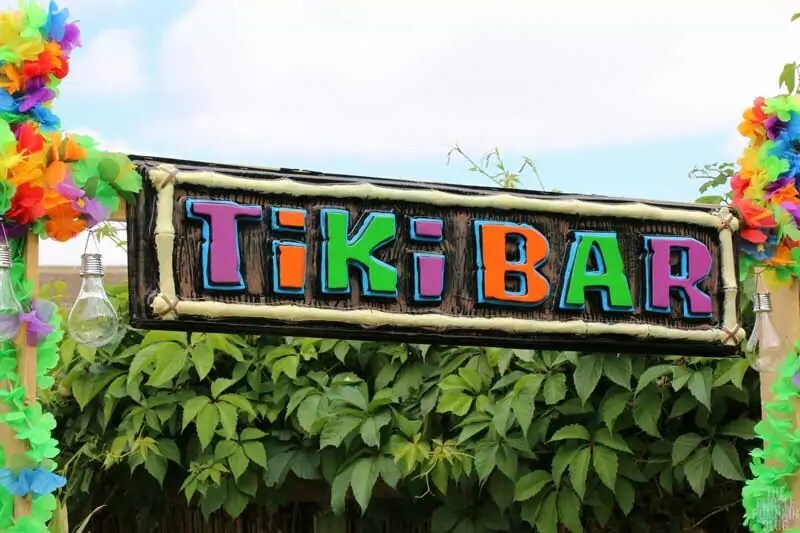 I bought this awesome tiki bar sign from Party Delights, for a bargain £5.49 – it’s 1m wide, and was just perfect. It’s made of plastic, and like the rest of the decorations, will also get removed to protect it from the elements. You can just see the solar lightbulbs hanging down. We bought these from B&Q, and I think they’re fab! I was going to wrap some more lights around the side struts, but couldn’t find my battery operated ones in time for the party. Speaking of the struts, to decorate those, I cut some green leis, and wrapped them around each one – securing with staples. I also had some faux hibiscus which were attached. Around the top are more coloured leis. 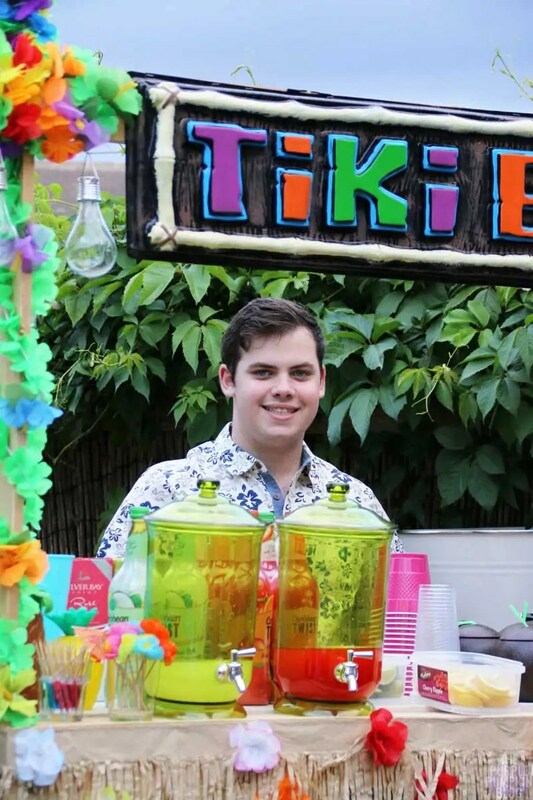 That is pretty much it for the bar structure itself, but of course there are all the things that make the tiki bar a serving bar, which included drinks dispensers that I have had for a couple of years; ice buckets – for both ice (of course!) 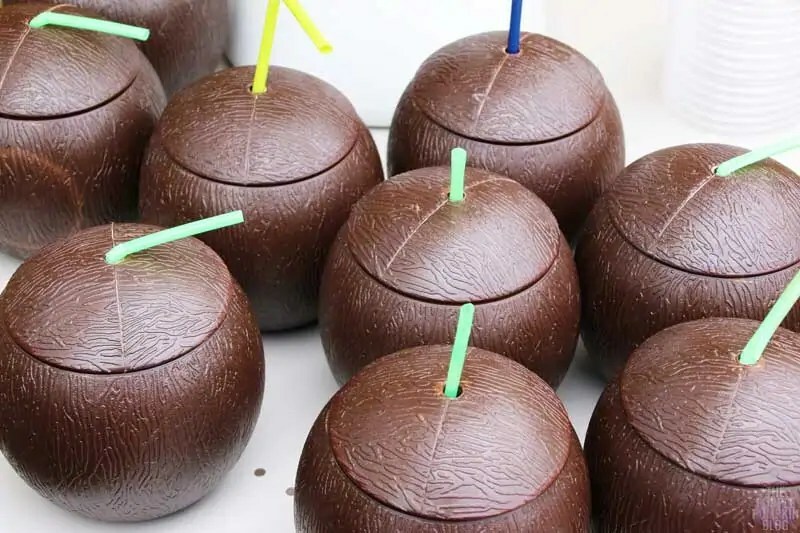 and for keeping drinks cold; cocktail umbrellas, stirrers, and straws; slices of fruit for the cocktails; and finally the very cool coconut cups. It was my son and dad that actually set the bar up for me, as I was too busy getting ready for my birthday party! My son was also barman for the night, and did a grand job. As I said, I had two parties – Saturday night was for my friends and family – and then Sunday was for just family, with aunties and cousins that I’ve not seen in about 2 years! We live a fair distance from each other, so it was nice to be reunited! The bar set up was very similar the next day, but my husband dug out my coconut monkey head that I brought back from Walt Disney World’s Spirit of Aloha Dinner Show, so that was on display, and I had bought a couple of different theme cups for decor. 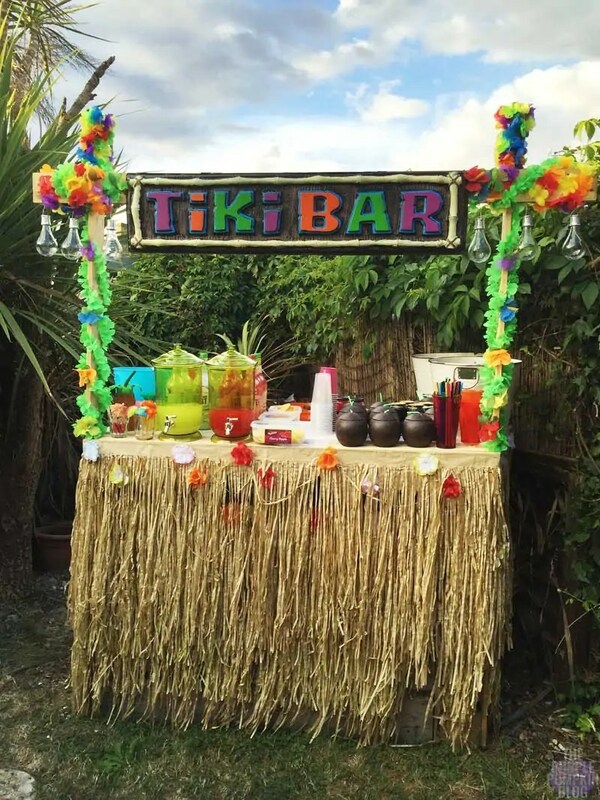 As far as parties that I have planned go, this homemade tiki bar is probably the most awesome thing ever! Since we don’t use that end of the garden, the bar construction is going to be a permanent feature, and I’ll just decorate as and when we need to! 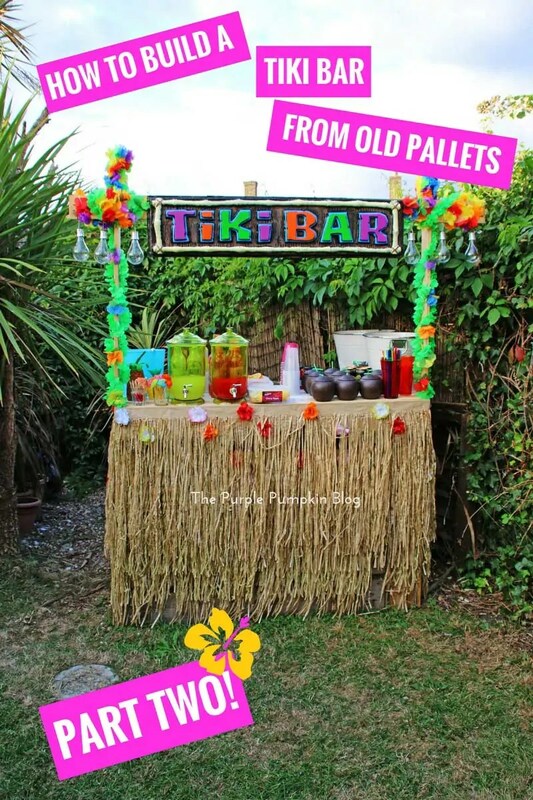 If you’re having a Hawaiian Luau or a tropical themed party, and can get your hands on some old pallets, give this project a try! 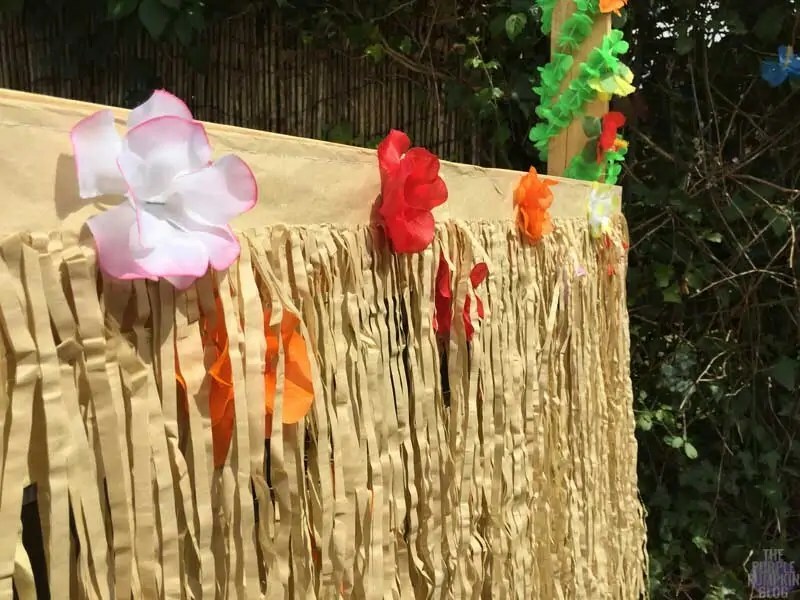 If you can’t (or don’t have the space to set it up) you could do similar using a table instead, and decorating it with the grass skirt type fringe, flowers, and hanging a sign on the wall behind you. Disclosure: Some of the party decorations used were supplied to me.